What are bloggers saying about Pinteresting Strategies? Sometimes you just want more information before you decide to make a purchase. Here’s what readers of Pinteresting Strategies have to say about this book. Pinteresting Strategies was the answer to all of my Pinterest problems!! Seriously, I had heard and followed all the generic advice before about branding and scheduling, and just knew something was missing. There had to be a strategy to the platform that no one was talking about, and that’s exactly what this book is! In under a month, it doubled the traffic I am getting from Pinterest, changed the entire way I look and utilize the platform, and can’t sing it’s praises enough! I want to thank you for publishing Pinteresting Strategies. Your technique of re-pinning popular pins is really brilliant. I got your book at the end of May and began implementing your ideas as soon as I could. My clickthroughs from Pinterest more then doubled by two weeks later. One month later, they have more than quadrupled. And I’m still using Boardbooster. After my vacation in August, I plan totry removing Boardbooster for anything but looping pins to see what happens. I lust finished reading your Pinterest Book! I LOVED IT! It’s the first book I have read since blogging that I felt actually got into the MEAT of the subject and wasn’t just: 1.make a pin 2.post your pin 3.watch it grow. I’m an intelligent person and I learn form watching others, so a lot of stuff I PAY to read is a waste of my time. BUT, your book really got into the how and why, and technical concepts that I haven’t found anywhere else! I’m starting TODAY to implement everything you suggested! This e-book is the truth! Ever since I started using Pinterest to promote my blog, I have not quite understood the best way to pin to make a great impact. 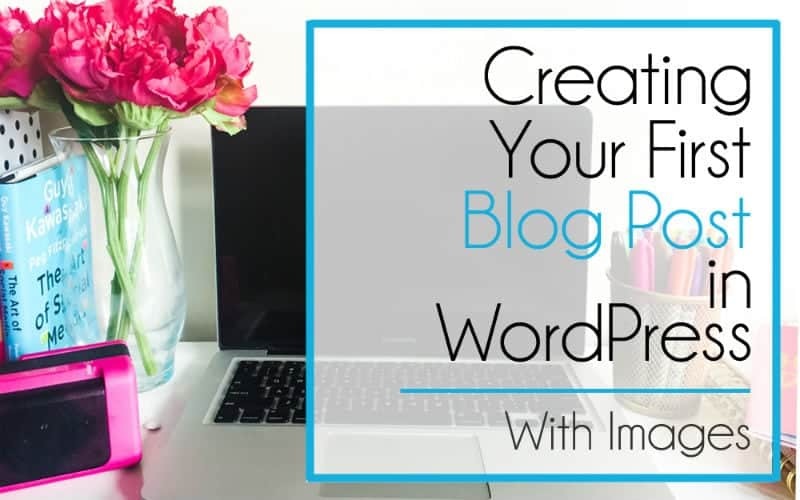 That is until I decided to purchase Pinteresting Strategies after seeing many other bloggers rave about it. 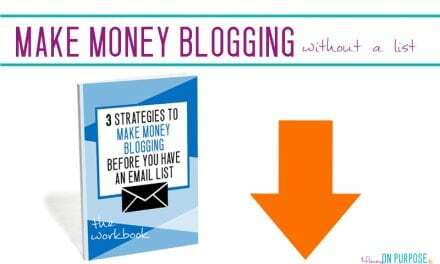 In a couple of months, I have more than tripled my traffic from Pinterest which has helped me skyrocket my income and I owe it all to Carly’s e-book! Since I started using Carly’s Pinterest Strategies 3 months ago, my blog traffic has grown from 7000 page views a month to over 60,000 page views this month. It is truly incredible. Carly has a knack for viewing Pinterest differently from anything else I have read and her techniques work! I highly recommend this course to everyone who wants to grow their Pinterest traffic quickly. Pinteresting Strategies stands alone in its ability to help any new blogger or even someone that just needs help with Pinterest. Over the past four months I have gone from 0 to 5K followers on Pinterest, my pageviews are continuing to go up each month, and I am receiving new subscribers daily! Also, I know as a new blogger it is so hard to determine which course/ebook really contains helpful information vs those that are just there to take your money and give you basic information in return. It can be very overwhelming and I have even made the mistake of paying 12.5 times the cost of this book for another Pinterest course that ended with me almost immediately feeling buyers remorse. After six months of blogging if there was just one thing that I could recommend to new bloggers this would be it. No it won’t give you overnight results, nothing good ever does but it will most definitely work if you apply the steps in this book. I tried Tailwind. I tried Boardbooster. Both to no avail. No real traffic was coming from all the effort (and $!!). I didn’t even gain one follower in the months of using the programs. I saw Carly’s E-book (coincidentally, on Pinterest) and figured I’d give it a shot. I canceled my Boardbooster & Tailwind subscriptions, and started using Carly’s strategy. In just 3 weeks, my numbers went up by over 1000%!!! And I’ve been gaining followers (never thought this was possible!) on Pinterest every. single. day. Oh, have I mentioned I had no idea how to join group boards and I am now in 32?! Amazing!! Every day, my blog views beat the previous day’s and I am so excited. 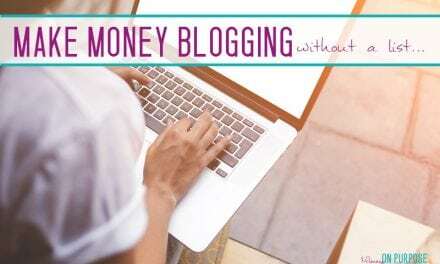 I am finally making money on my blog! THANK YOU for this amazing book, Carly! I am sharing it with all my blogger-friends. I can’t recommend this enough!! If you’re on the fence about spending even more money on yet another strategy, do it for this one! It pays off when you see your numbers shoot up and you begin making money. It actually works and is totally worth it! I’ve taken quite a few Pinterest courses and read quite a few e-books about Pinterest from various bloggers. One that is extremely useful, (and very affordable) is Carly’s e-book. OMG! This is seriously one of the most useful and thorough resources I’ve found on making leaps and bounds in Pinterest. The techniques she uses I haven’t seen in any of the way expensive courses I bought. 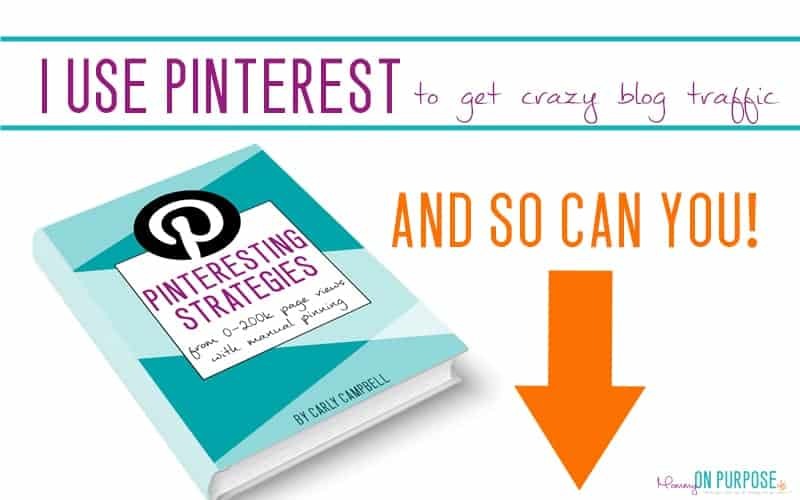 Carly’s Pinterest Strategies ebook shares valuable information about Pinterest in easy to read, digestible “bites”. After reading through the book twice in 1 week, I began implementing all the content presented, and saw instant growth in my traffic from Pinterest. In fact, my traffic has grown by 500% since my purchase of the ebook and I had my first pin go viral, bringing 1,800+ views to my blog post in 1 day. The best part about the ebook is it taught me how to grow my traffic WITHOUT having to pay for a scheduler. That, to me, was the biggest factor in my decision to purchase the ebook and I’m overjoyed the book delivered what I hoped for. 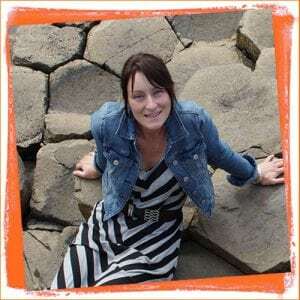 Thank you Carly for producing a valuable resource that can be used by both new and experienced bloggers alike to grow traffic from Pinterest without being a slave to the scheduler. This book has been completely transformational in my Pinterest game plan. My reach increased 500% (!!!) practically OVERNIGHT! Learning exactly how Pinterest works and getting away from seeing it as just a search engine or just a social media platform helped so much. There is a human factor to it and I love everything you teach about training Pinterest how to see your pins. I am seeing a steady growth in my followers, my repins, and clicks back to my site. Pinterest is driving 70% of my traffic to my blog and I KNOW it’s because of the strategies in this amazing book. At first, I wasn’t sure if Pinteresting Strategies would work for me. I had started a brand-new blog and only had about 10 posts to share on Pinterest. But I read the book and did the legwork to apply Carly’s strategies…and my blog traffic tripled in the first month! This is so encouraging to me, and I feel empowered to set a big traffic (and income!) goal for the blog this year! Pinteresting Strategies is a concise but MEATY read, and the results it yields are extremely refreshing. After the Pinterest algorithm change, my Pinterest account took a major hit. My account went from having almost 90K monthly viewers to about 25K monthly viewers. I tried everything to increase my Pinterest growth, but nothing seemed to work. The old way of doing Pinterest just wasn’t working for me anymore. Pinterest was my biggest source of traffic and I wasn’t ready to give up on it just yet. After browsing the web for Pinterest courses, I discovered the Pinteresting Strategies eBook. I took pages of notes and started implementing the strategies within the ebook right away. Almost immediately after reading the Pinteresting Strategies eBook, I canceled my BoardBooster subscription. I started manually pinning about 50 pins per day and my Pinterest account went from 25K to 60K monthly views in just a few weeks. If you’re serious about upping your Pinterest game, Pinteresting Strategies is a must read. Carly’s strategy really works. I had always heard from bloggers how Pinterest is one of their leading sources of traffic, but as a newbie I really couldn’t figure out how? This was until I purchased Pinteresting Strategies, because it gave me a direction which I was lacking. 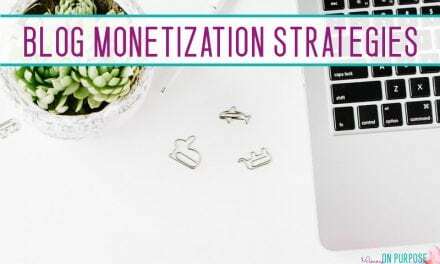 It not only helped me in understanding the basic of Pinterest (Creating a profile, pins etc), but also introduced me to several strategies which helped me to see a positive impact on my website traffic in matter of days. The best part is the strategies shared by Carly are all simple and easy to implement and extremely cost effective. I definitely suggest this book to everyone who are seeking ways to increase their website traffic. Pinteresting Strategies has been a game-changer for us. 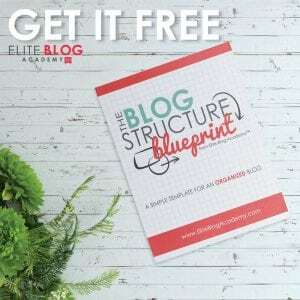 We had never heard of using Pinterest to drive traffic to our blogs until we found Carly’s course. We implemented all the advice and within 3 months we were able to drive 40,000 visitors to our blog in a single month. The advice that Carly gives about Pinterest is truly amazing and it has changed our business forever! We can’t thank her enough for this course and we highly recommend it to anyone that wants to learn how to do Pinterest the right way. PreviousWhat’s the Big Deal About Being “Debt-Free”?